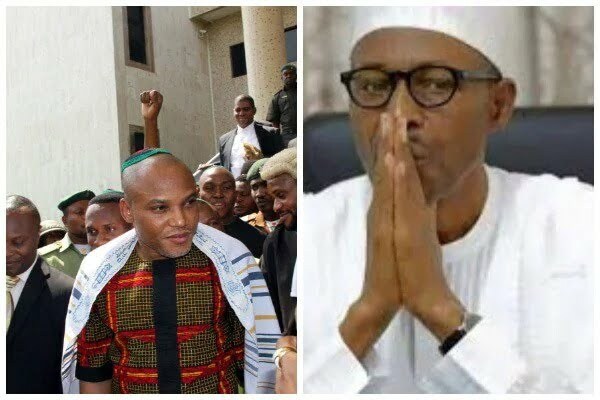 Leader of the Indigenous People of Biafra, IPOB, Nnamdi Kanu, has vowed to expose how Jubril Aminu was transformed to replace â€˜dead Buhariâ€™ in London. In a tweet he shared yesterday, Kanu said he will expose the evil work of a cabal in the presidency. â€œThe transformation of Jubril Aminu to replace dead Buhari, an evil that will destroy the demonic #Nigeria and free millions of lives,â€ he tweeted. â€œI will expose the dirty work of the Nigerian ruling cabal tomorrow on Radio #Biafra at 6 pm.